Definitely not the conventional Christmas meal, but if it’s a meal served to be shared and to touch hearts – it is no less worthy of a meal than any other Christmas meal. Raffles Hotel, which has been around for 80years now, houses one of my favorite places for dimsum – Royal China. 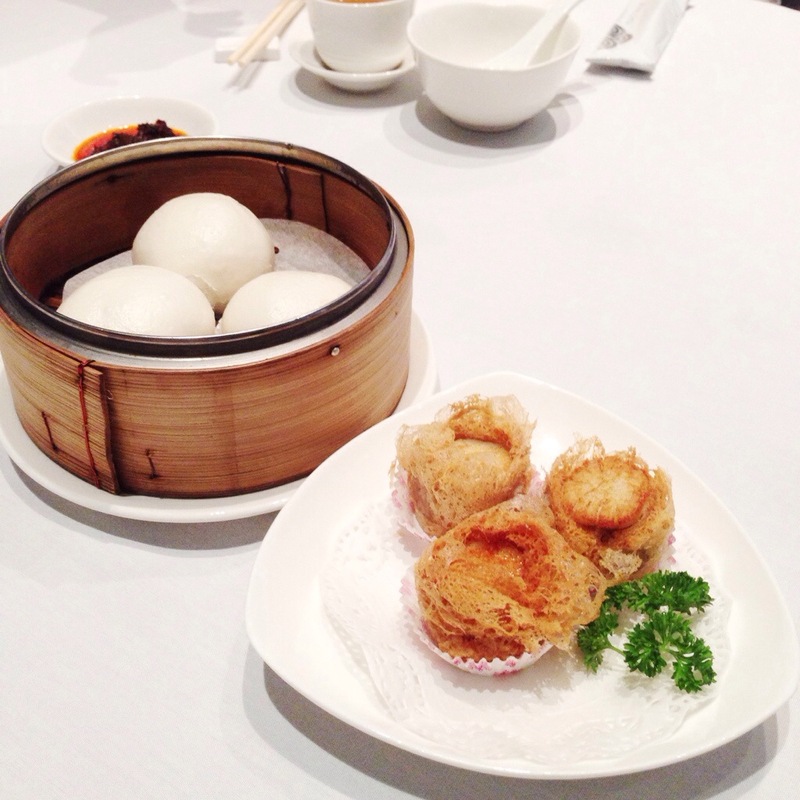 A fine dining Chinese restaurant that serves reasonably priced dimsum over lunch. If it’s anything you have to definitely order, it will be this glorious glob of a Bao. 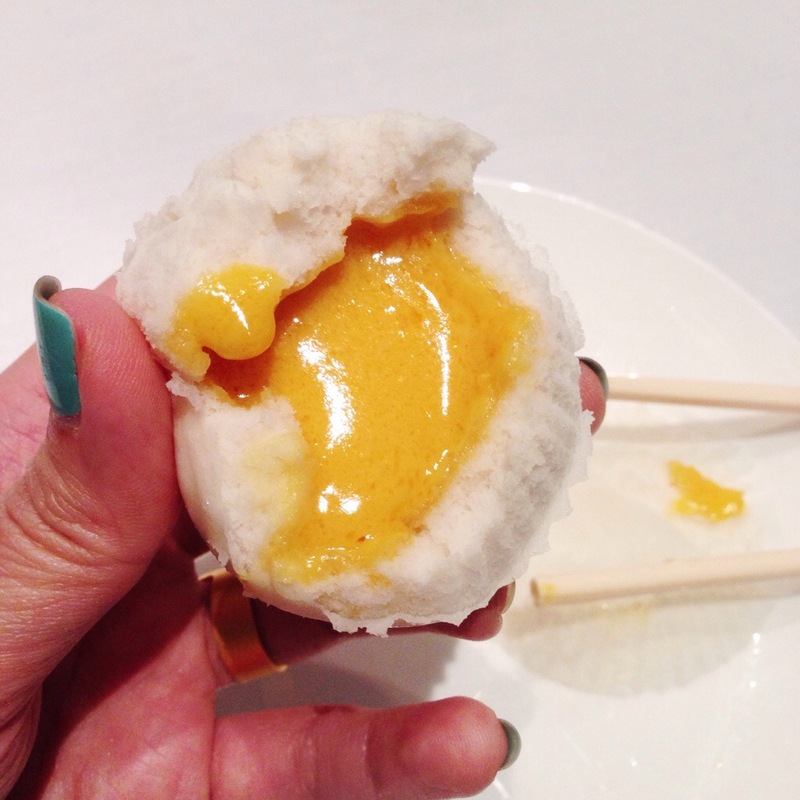 Liu sha bao, or Golden Lava Custard bun. 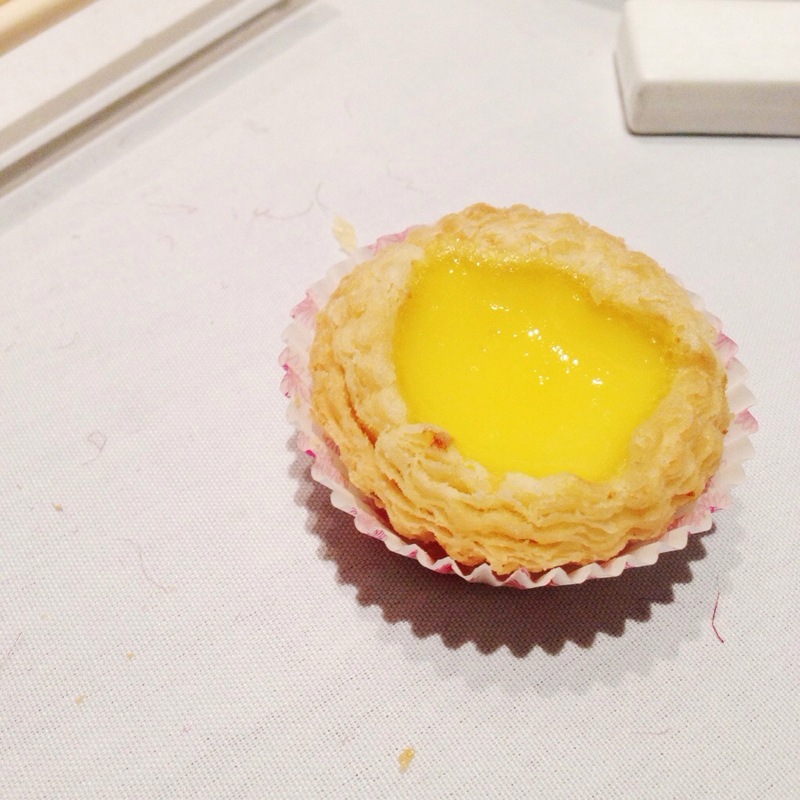 The ones done by the Royal China are superbly fragrant, a thin yet not too thin bun, housing a generous amount of bright gold salty-sweet, eggy custard. And it seems telling, that the best foods come in buns. Innocently smooth outer layers housing fillings that will blow away one’s palette. 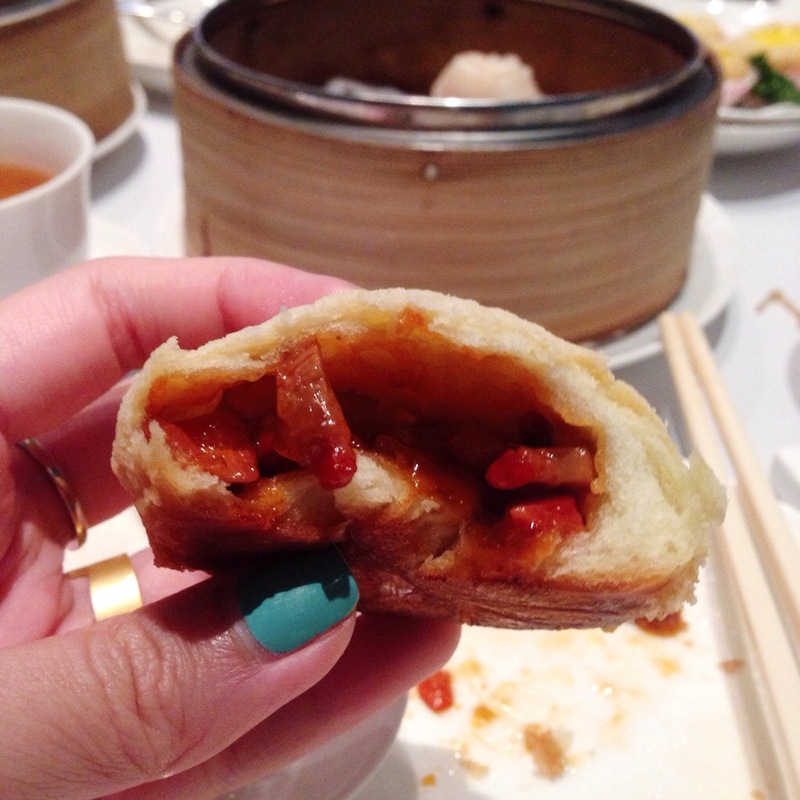 Their specialty Royal China char siew pastry comes up second as a must have here. Food in all was great. 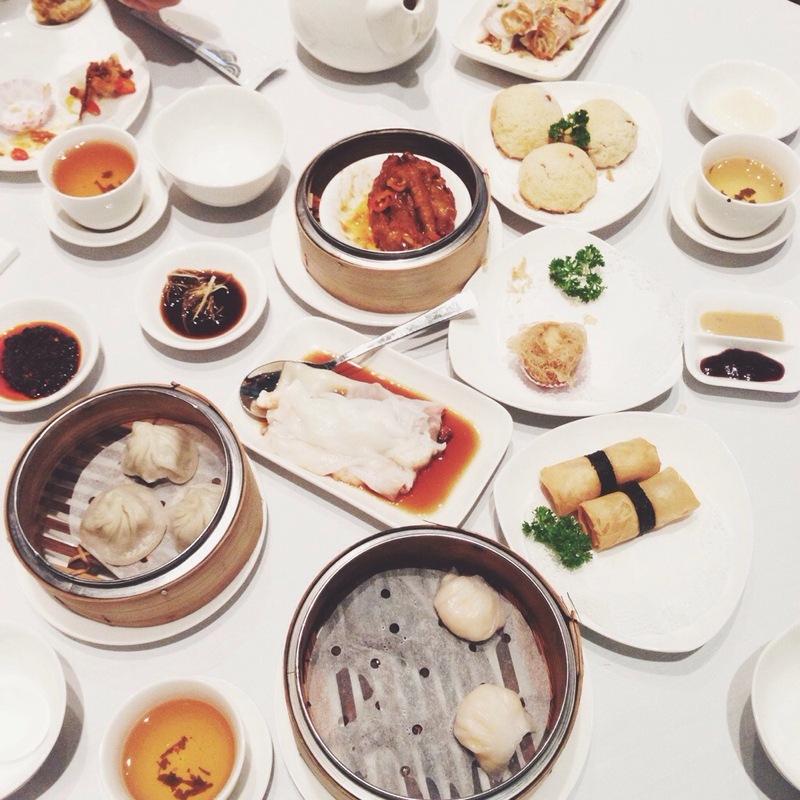 Dimsum for you, dimsum for me, hearts touched and bellies happy. There is no greater joy than sharing a wondrous meal with ones you love. 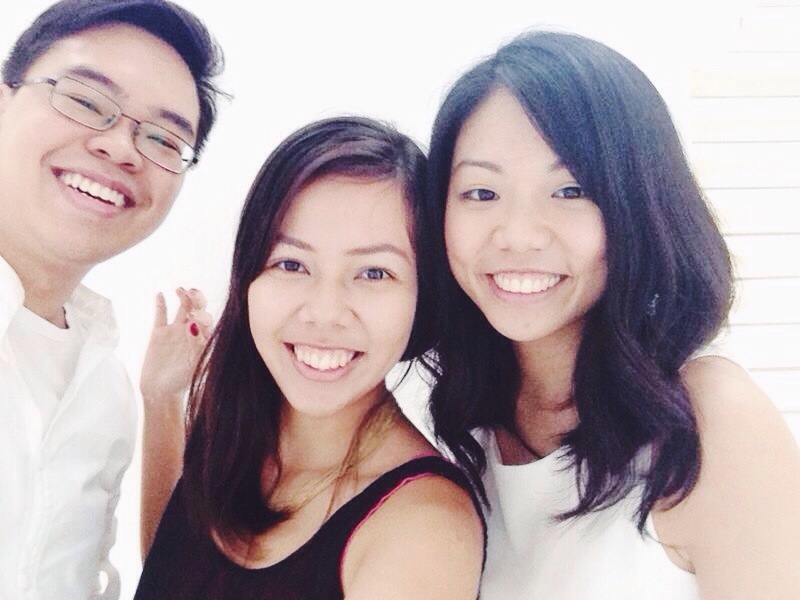 This entry was posted in Uncategorized and tagged Chinese cuisine, Christmas, Dimsum, iPhone, iphone pics, iPhone5, Raffles Hotel, Royal China. Bookmark the permalink. lululemon's hub for collaborative innovation, functional fashion, and the creation of limited-edition designs since 2009.